Record numbers of Western Australian seniors and pensioners are not paying for public transport, state government figures show. Figures show seniors and pensioners took more than eight million free trips in 2012 under a transport scheme that rewards off-peak commuting. transport mode under the scheme, with 19.332 million trips recorded, compared to 9.403 million train trips and 108,000 ferry trips. "The total boarding figure for free transport has shown solid growth each year, from 5.143 million in 2009 to 7.594 million in 2010, 7.790 million in 2011, and 8.316 million last year," Buswell says. 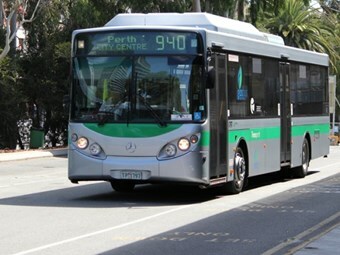 "This means about six percent of total boardings on Perth’s public transport system are people travelling for free under a state government offer." via Transperth's SmartRider ticketing system, introduced in April 2009. More recently the state’s government expanded the free travel service to apply from 9am to 3.30pm weekdays and to include aged and disability pensioners. "It was a huge success and, from day one to December 31, 2012, 28.843 million boardings have been provided free of charge, representing a total saving of $18.122million to eligible travellers, Buswell says. Buswell says the initiative has also shifted a significant number of concession bus and train travellers out of the peak timeslots, releasing extra capacity for commuters.